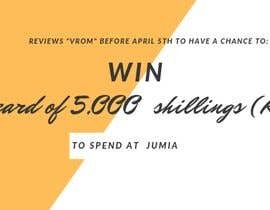 Hi, my Facebook business profile ( [login to view URL] ) page needs a cover photo promoting a gift card of 5,000 Kenyan shillings (KSH) to spend at an online store in Kenya called Jumia. 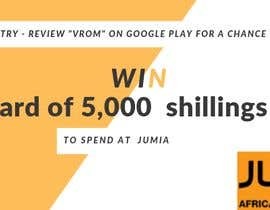 The rule is: Anybody who reviews my app "Vrom" before April 5th will have a chance to win a 5,000 ksh Jumia gift card. There will be only 1 winner. 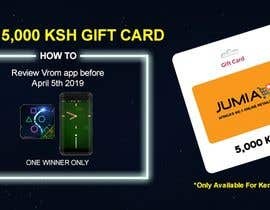 see the attached for what the gift card looks like. 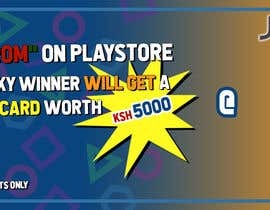 Please keep in mind that this promotion is for Kenya residents only!